■SORO Outdoor Intelligent High Frequency Online UPS provide continuous pure sine wave AC power supply for outside communications / network equipment. ■Double-conversion online design, high temperature resistant, anti-cold, sealing level for IP55; With the wide range of input voltage and frequency of input window (-45% +35% rated voltage and ± 10% rated frequency), in many remote areas of China after a severe test of the grid. 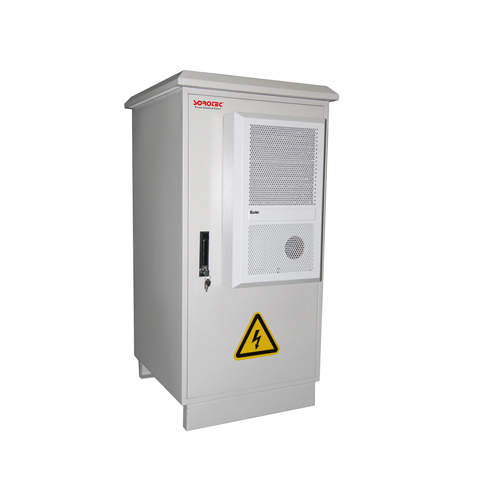 This UPS is commonly used in the corner of the city, remote roads, mountains, bad environment, such as high temperature(+50 °C) / low temperature (-40 °C), severe dust, moisture,rain, mist erosion, very poor power quality (voltage longterm higher than 260V or less than 160V, frequency abnormal change) in the area. outdoor battery backup is designed for wireless communication system of outdoor micro cellular base station and the design of high performance integrated outdoor online uninterrupted power supply system, with a high technology advanced and practical. Outdoor communication / network equipment commonly used in the corner of the city, remote road, mountain, bad environment, such as high temperature (50 degrees Celsius) serious (minus 40 DEG C), dust, high temperature and rainy and acid erosion, power quality is very poor (long term voltage in the range less than 160V or higher than 260V frequency anomaly), so outdoor battery backup meet bad temperature, humidity, air condition etc., also meet requirements of outdoor grid. SOROTEC outdoor intelligent outdoor ups battery backup outdoor user communication / network equipment to provide pure uninterrupted AC sine wave power supply for; double conversion on line design, high temperature resistant, anti cold, seal level IP55; is the most wide input voltage range, input frequency window (-45%+ 35% rated voltage and + 10% of rated frequency), in far flung parts of China after harsh grid test.